Jack Sock may have won the ASB Classic, but the semi final also played out in spectacular style. Chirpy Cypriot tennis player Marcos Baghdatis has been a crowd favourite throughout the men’s singles at the 2017 ASB Classic, and the Auckland spectators got their money’s worth in double-quick time on Thursday. Baghdatis took just 70 minutes to claim victory over Czech Jiri Vesely in their quarter-final match, which finished at 6-2 6-4. The 31-year-old may have found this match the easiest of the tournament so far. It took him a bit longer to beat Frenchman Adrian Mannarino 6-4 6-4 in the first round, and his second-round match against wild-card German Dustin Brown went to three sets after a nail-biting tie-break, Baghdatis eventually winning 4-6 7-6 6-4. Vesely Drained by Three-Set Statham Match? Vesely must be disappointed. 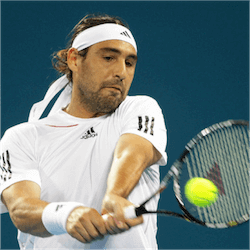 As the 2015 ASB Classic singles champion, many fans were relying on him to go through to the semis instead, but Baghdatis’ phenomenal serve proved just to good for him. The Cypriot sent down 12 aces over the two sets. New Zealand fans might be feeling a flicker of schadenfreude, of course. The day before, Kiwi outsider Rubin Statham got a Hail Mary that saw him slip into the singles draw, after defending champion Roberto Batista Agut withdrew due to a gastric bug. It was Vesely who ended the New Zealander’s ASB Classic dream, although it also took him three sets to do so. There has been speculation that fatigue after the Statham marathon may have affected Vesely’s performance against Baghdatis. Baghdatis’ victory made the final matches of the 2017 ASB Classic a bit more exciting for Australian sports betting enthusiasts. In another quarter-final, Portugal’s Joao Sousa beat the Netherlands’ Robin Haase, booking himself a semi against Baghdatis. In the end, Sock took the title, but this tournament was certainly one of the most exciting to date, and a great opened for the year.